Put salt into a medium sized bowl. Use a zester to remove the zest (yellow parts) from the peel of an entire lemon. (It's easiest if you use a lemon that isn't peeled or cut yet.) Allow zest to fall into the bowl. Remove leaves from rosemary sprigs. Chop, or tear, the leaves into small pieces. Add to bowl. Add almond oil and blend ingredients until you reach desired consistency. Divide between two small mason jars. Decorate with a cute label, if you wish. (I like to make little collages from recycled catalog pages.) Don't forget to write what it is and the "made on" date. Scoop out some scrub and rub into clean hands. Pay extra attention to dry, chapped spots. Appreciate your smooth and well-moisturized hands. 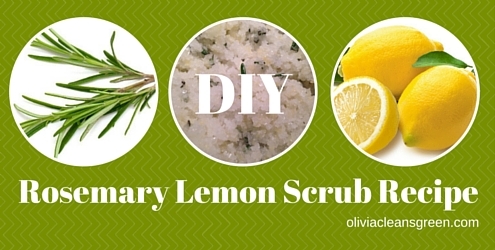 This can also be used as a body polish/ body scrub or bath soak.